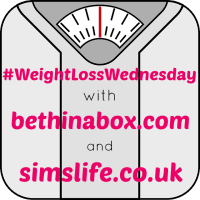 Welcome to the Weight Loss Wednesday Linky – for fitness, weight loss and healthy eating posts! It was great to catch up with so many of you last week and share in your success, there have been some great losses! It still seems that the Slimming World diet is the most favoured and I can understand why – you still get to eat food for a start! That would be my downfall on the diet, I could still eat all my favourite food and to me it would not feel like a diet – unfortunately I thrive when a little more strict. We were sent a cute little Sammy Screamer device a while ago, that really was meant to alert me when Liv sneaks into the treat cupboard… but in all fairness, I’ve needed it recently! Easy to set up and manage with the handy smart phone app, set to the levels you choose, the Sammy Screamer is a motion detector that literally screams when moved. If positioned correctly, sneaking that bag of crisps will not be as easy as you expected! Available from BleepBleeps.com priced at £29, the motion detectors are aimed at making parenting easier, however I think they make dieting easier too! Having an incentive to work towards always helps, whether that be a holiday, night out or special occasion… this weekend is pretty hectic with events and it would be nice to go and just rock it. That is enough incentive for me to crack on with the shakes for the next few days and start deliberating on outfits! A stone has literally disappeared in the past 3 weeks due to illness and half hearted dieting. This has put me in a better frame of mind and I’m kind of back to where I was… again. 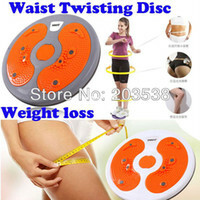 I am a proper yo-yo lady which is not great, I really do need to break that cycle and just crack on finally. How do you push on to reach your goals when you are slightly lacking in motivation?